Alaska Native News Sep 14, 2018. 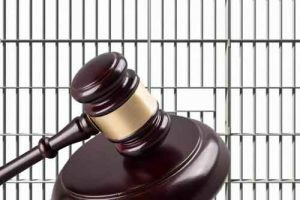 An Anchorage man who went on a “crime spree” in August of 2017 and caught at the Gambell Carr’s store later the same day was sentenced on Thursday in U.S. District Court, U.S. Attorney Bryan Schroder announced in a statement release. 25-year-old Demitri Kardeem Scott was sentenced to 6 and a half years in prison followed by another three years of supervised release for illegally possessing a firearm as a convicted felon. The case had its beginnings on August 30th of 2017 when Scott attempted to break into a vehicle in Town Square Park. A “concerned citizen verbally confronted Scott” before walking away. As the victim was walking away, Scott opened fire with a .45 caliber handgun, firing seven rounds at the man. The victim managed to avoid getting hit by ducking behind a vehicle parked at the scene. After firing the shots, Scott fled the scene. When APD responded to the scene to initiate their investigation, they would locate seven spent shell casings littering the ground. Police also located some of Scott’s blood on the scene where he had cut himself while attempting to break into the vehicle. Later that night, APD would receive a disturbance call from Carrs reporting an altercation with a shoplifter who was being subdued by security officers. When APD arrived on scene, they would find the security officers still holding Scott on the ground. Police took custody of Scott and interviewed the security officers. During the interview, the Carrs employees said that after seeing Scott shoplift then try and leave the store, the security officer followed him out of the store and prevent him from fleeing. A struggle ensued in the parking lot and during the altercation, Scott pulled out a switchblade knife. A second security officer came out of the store to lend aid and together he was taken down to await police arrival. When APD took custody of Scott, they discovered the .45 caliber handgun in his waistband. “The recovered shell casings were run through the National Integrated Ballistic Information Network (NIBIN), which determined that the shell casings recovered at Town Square Park were fired from the firearm found in Scott’s waistband,” thus connecting Scott to the Town Square incident. Because Scott had a previous felony burglary conviction in the state, he was prohibited from possessing a firearm. The Bureau of Alcohol, Tobacco, Firearms, and Explosives assisted the Anchorage Police Department with the investigation that led to Scott’s conviction.